October 4, 2012 by iCepts Technology Group, Inc.
What is Perpetual Licensing in the New Microsoft Dynamics NAV 2013 ERP System? The latest release of Microsoft Dynamics NAV 2013, including new product enhancements and functionality, also includes new licensing models designed to help small and midsize businesses jump start their financial insights and distribution management plus easily allow extended functionality in all areas. The Starter Pack gives you core Financials and Distribution functionality, plus three Full User licenses. Gain control and insights over your finances. Manage your sales items and materials in a distribution environment. Provide your licensed users a singular view of the business from virtually anywhere through a variety of clients. As a customer, you need to license one Starter Pack per ERP Solution deployment. 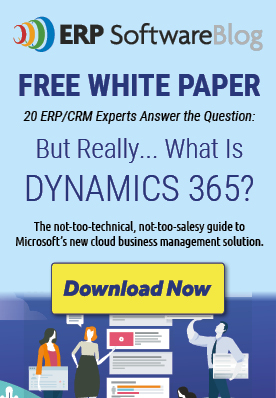 For many, this is the only Microsoft Dynamics license component you will need. Manufacturing to support and control your manufacturing environment. Warehousing to manage the warehouse to support operations. Professional Services to manage the billable activities generated by your consultants. Basic Customer Relationship Management (CRM) to manage your customer and supplier relationships and offer them the highest quality of service and support. Full User licenses provide users full read and full write capabilities to all of the licensed solution functionality through any and all modes of access, including the Windows Client, the Web Client, the Microsoft SharePoint Client, or any other mode of access going through the API (including Web Services). Full User licenses are for users requiring unlimited read and write access. As long as the number of users needing simultaneous access to the solution does not exceed the number of Full User licenses you have acquired, these users are properly licensed for full read and write access to the complete solution functionality. Limited User licenses provide users full read but limited yet powerful write capabilities to all of the licensed solution functionality through any and all modes of access including the Windows Client. The Limited User license is designed to give you a lower-cost alternative for extending ERP to users who only need to perform limited tasks as defined in the Perpetual Licensing Guide. At the time of purchasing the licenses, is it required to purchase access of no. of tables, pages, xml port & country code along with starter pack & extended pack ? Kindly inform.